There it was. The peace from the angst I’d been feeling. The solution to the weight of guilt I’d been carrying. If God would only answer! Each day, I was desperately looking for his answer, eyes wide open, waiting for that sign. Since I started following Jesus in high school, and began the lifelong process of working through some of the challenges of my past and how God fit into all of it, my relationship with the Bible was changing. My first Bible and what almost every page of it looked like! At first, I couldn’t get enough of it, underlining almost every word on every page, hungering for it even more than my physical food. I was having “Wow!” and “Aha!” moments with every encounter. But increasingly, I wasn’t always seeing the Bible as a source of comfort and a place to find hope. At times, it actually made me feel more condemned and further from God and that made me angry. Slowly, the initial joy and amazement at my salvation had worn off and I was seemingly left alone to reconcile where I had been spiritually and where I was going. Sins, those I had and was committing and those committed against me, were always before me and I couldn’t rejoice in forgiveness because I didn’t feel forgiven. Weeks went by and then months. I was still reading my Bible and waiting for God to do something and show me that sign, but my joy was gone. At night I was dreading waking up in the morning, having to live another day burdened by guilt. My spiritual struggles were affecting me physically. I was gaining weight, I had no energy, I withdrew from others, and I was slipping into depression. I wondered if this really was what the Christian life was supposed to be like and if so I hated it. It was not what I expected it to be. Initially I had experienced such thankfulness that I was no longer living in a way that opposed God. But now it seemed God was opposing me by not answering my prayer and keeping his word. Why wasn’t he? And how was I supposed to move forward? Sadly, I didn’t receive any specific counsel on this. At least not good counsel. Most spiritual leaders in my life at that point were very man-centered, telling me to focus on all the wrongs I had done and making them right with God and others and finding confidence in my obedient actions. And while the fact of my responsibility to personally deal with my sin was right, it was incomplete and even harmful. What I needed most no one gave me. But God was listening and he was working, ironically enough, through the Bible, the very book that had made me hungry and angry at the same time. 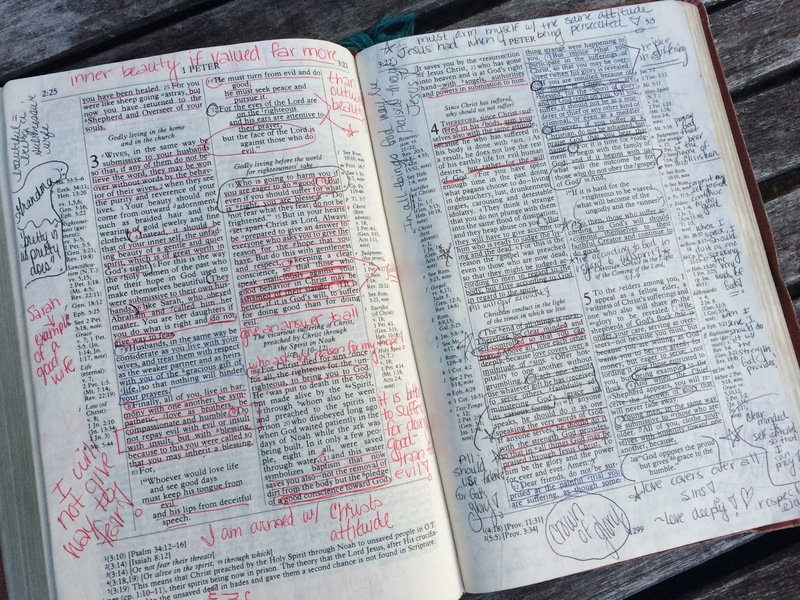 Can you relate to my struggle with the Bible? I am eager to share next week how God answered my prayer for a “sign of goodness” and finally brought me comfort. 1. How did you view the Bible before you came to Jesus? 2. How has your relationship with the Bible changed since then? 3. Are you reading it now and finding joy or are your reading it and feeling anger, guilt, confusion or something else?